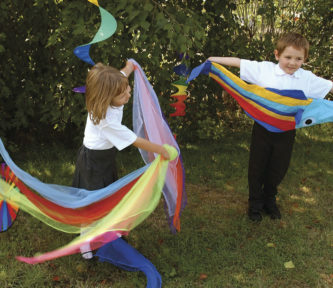 Dance, twirl and swirl with these brightly coloured nylon streamers. The handles are strongly attached by stitched webbing with six different coloured ribbons. An excellent resource to demonstrate gross motor skills, develop hand-eye co-ordination. A great product, the children love them.